Anger is not a topic I notice readily coming up in mom groups too often. We all feel it of course but seem to be hesitant sometimes to actually admit it. I think the reason for that is a two-part answer. One part of it is feeling like we are failures if we admit to losing our tempers or yelling or being stressed out. We're moms! We're supposed to be the glue that holds the family together, right? We're supposed to be patient and kind and loving and gentle...not screeching like a banshee about spilled milk or toys on the floor. The second part is that I think we are ashamed. I never imagined I would be the kind of parent who yelled or even screamed at my kids...but it has happened. And it makes me feel terrible. No one likes being angry and losing control of their temper. It usually makes us feel just as bad as the person we're yelling at. But sometimes it feels like a vicious cycle - we try to be patient but the same issue comes up YET AGAIN or we're overwhelmed from what feels like a thousand stresses, and then we end up losing our cool. We yell, say horrible things, everyone else then gets upset or cries, and we end up feeling a massive amount of guilt, like we're "ruining" our kids. I've especially felt this at times as our family continues to grow - how can I parent all these children successfully and not lose my temper? 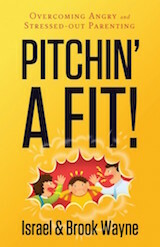 I recently had the opportunity to review Israel and Brook Wayne's new book - "Pitchin' A Fit! : Overcoming Angry and Stressed Out Parenting." The authors happen to know a little bit about parenting - they have nine children, are the founders of Family Renewal, and they write and speak publicly about Christian-living topics. The book opens with Israel telling a story about one of his children and an explosive encounter they had - a situation I could have easily seen happening with my own family. This opening immediately appealed to me because the authors show that they aren't perfect. They readily admit their struggles, which is very refreshing. They are still raising their own kids and deal with this frequently, just like we are. 1. Everyone struggles with anger and stress, to some extent. 2. Anger and stress left unchecked can have devastating consequences. 3. There is hope and freedom in God's Word to combat anger and stress. Not only does the book discuss in detail how anger and stress affect us and can be triggered in different ways, it also goes in-depth on how to combat it. Anger in and of itself is not always wrong, but the book makes sure to note the differences between the kinds that are healthy and unhealthy. Other chapters on patience show that it is not some fuzzy notion of never being bothered by stress, but instead is a strength, something that has to be grown and worked at. Scripture is provided to back up the author's viewpoints as well as practical solutions and ideas. Each chapter ends with thought-provoking discussion questions which I found very helpful to review as I went along. This book gave me a lot of great ideas on dealing with my own anger and stress issues. 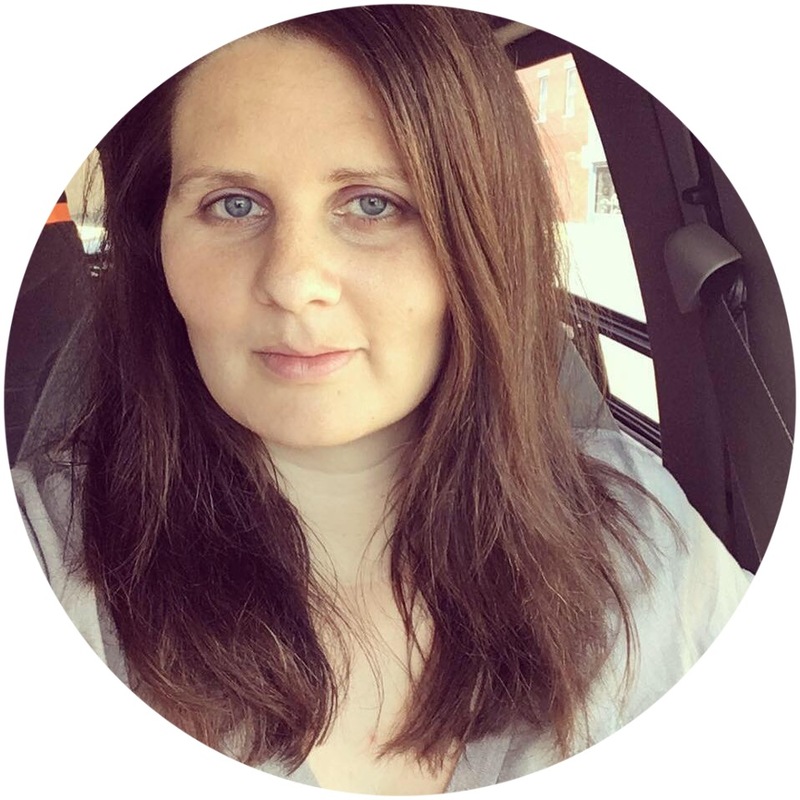 It helped me to see which of my habits were detrimental, like taking on too much at one time, procrastinating, and doing things for the kids that they can (should!) be doing. It also helped me to see which things weren't such a big deal, like kitchen messes...they aren't the end of the world because as the kids are learning to cook and help around the house, things are bound to happen. Looking forward, I can now recognize my anger triggers and I have some ideas and a plan in place on what to do when I feel stressed out, or like I'm going to lose my cool. Does that mean I will be a perfect parent from now on? No! It's not something that's just going to happen automatically, every single time. It's going to take work and patience and God's strength. I would recommend this book to any and all parents, but especially those who struggle with yelling, who have anger issues, or who feel stressed out frequently. It has a lot of great insights and is written in a way that made me feel like I was sitting down to have coffee or tea with a veteran parent who understands me, has "been there," and who is passing on some of their great wisdom. Pitchin’ A Fit! : Overcoming Angry and Stressed-Out Parenting was written by Israel & Brook Wayne and was published by New Leaf Press. It is available for purchase through Christian bookstores, Amazon, Barnes & Noble, ChristianBook, and New Leaf Press. The authors recently did a podcast interview on The Shaun Tabatt Show if you're interested in learning more about it. To see what other reviewers thought, check out the Cross-Focused Reviews blog. Disclosure: I received a copy of this book from the publisher in order to facilitate my review. All opinions expressed are my own.